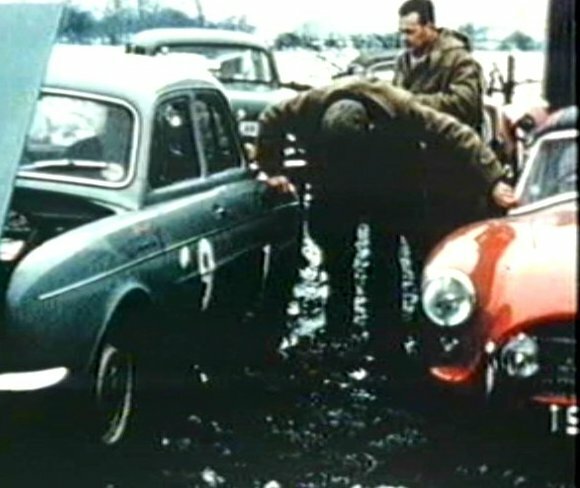 IMCDb.org: 1957 AC Ace Bristol in "30 Years of the RAC Rally, 1991"
Both are AC Ace on 1958 rally. 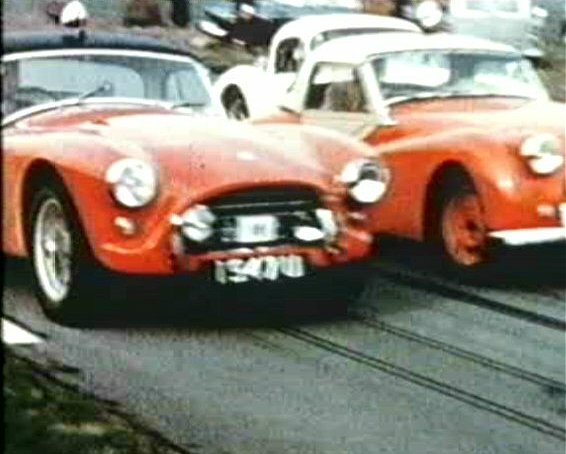 Red one is registered 1947 U driven by someone called Burton - DVLA does not find it but other sites give 1957 date and 1971cc so Bristol engine - same engine as VPL 442, driven by Bolton with rally number 17 or 17x. Both retired. 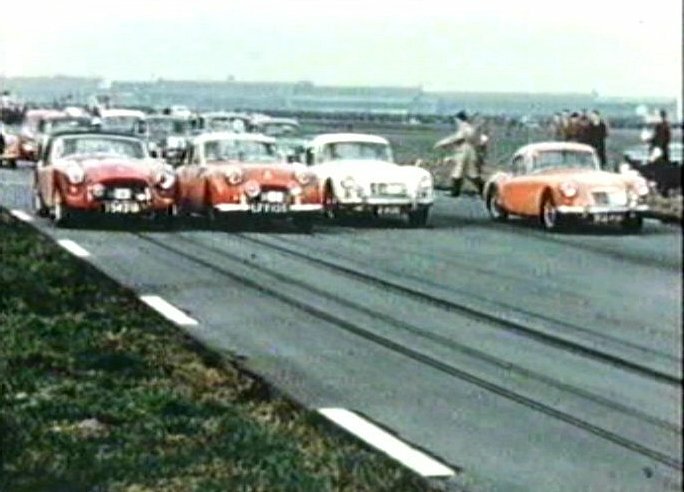 1947U belonged to Arnold Burton, who took part in many local and international rallies in the 50's. This AC Ace Bristol was bought new by him in Spring 1957, and was in a rollover accident during the Alpine Rally in summer 1957, after which it was repaired by the AC factory. 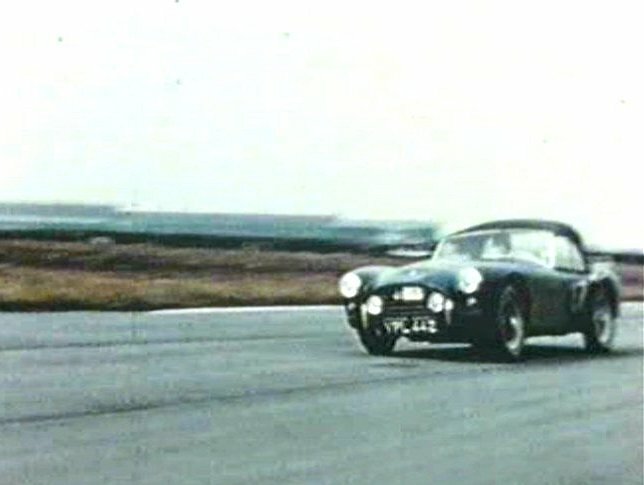 Bolton was probably Peter Bolton of Leeds, who later tested a Cobra for Le Mans at high speed on the M1, famously leading to the call for a national speed limit. @waremark - thanks. Nice to get these pinned down.